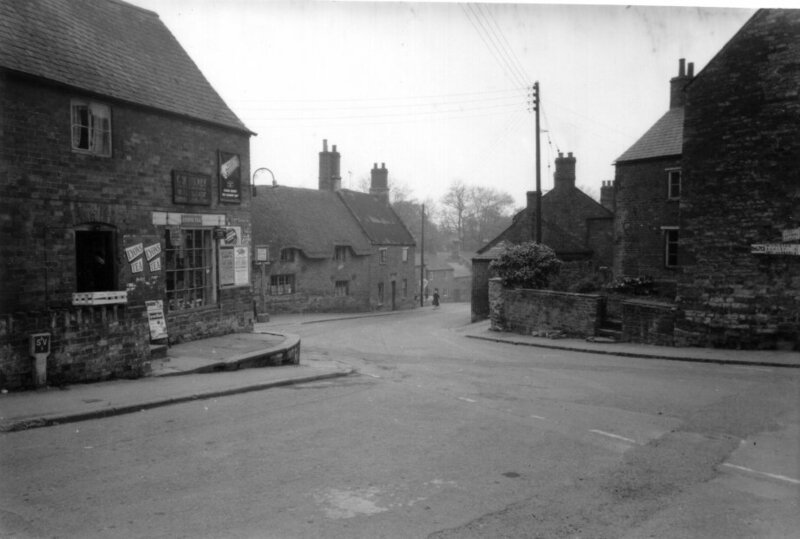 Buckby's and Sid Smith's shops, 1960s? There used to be three shops on Corby Road. 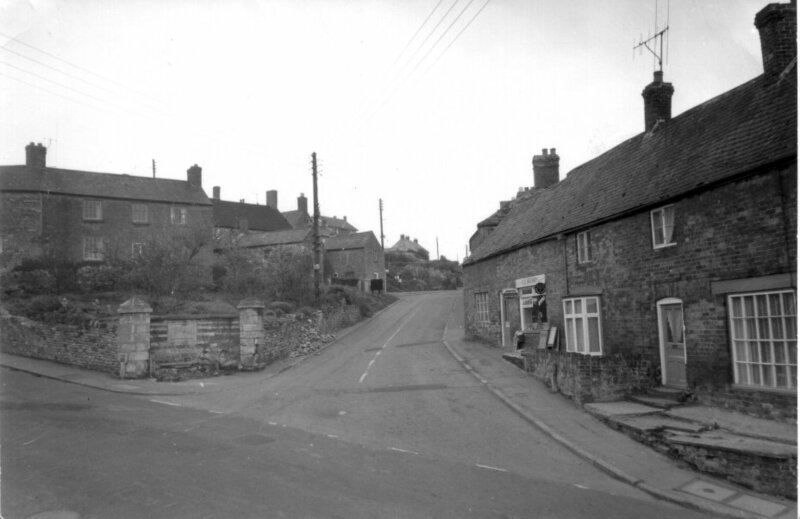 On the corner was a grocer's store, owned in the 1950s by Mrs Stapleton and in the 1960s by Geoff Buckby. 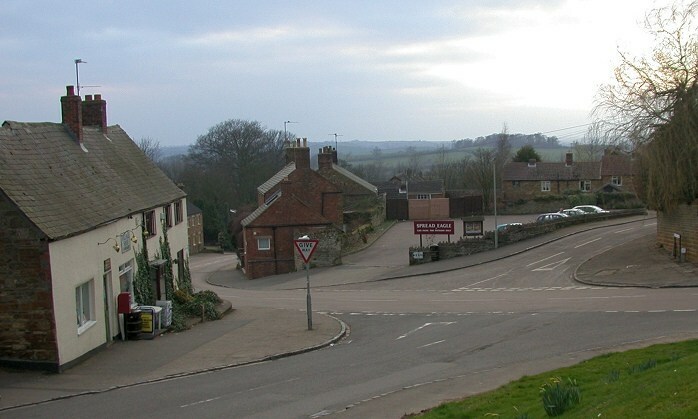 The railings in front of the shop, shown in the picture top left, were removed during the second world war to make armaments. Next to Mrs Stapleton's was a haberdashery shop selling buttons, shoe laces and so on. Located where the village shop window is now, this shop was owned by Rose Smith, who also ran the chip shop on Corby Road. 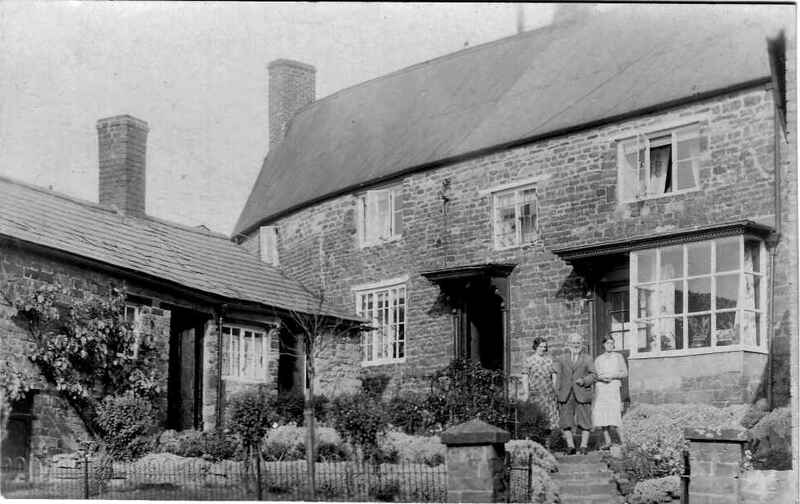 Mrs Stapleton and the Smiths lived in tiny cottages in between the two shops, where the village shop now stands. Mrs Stapleton's husband Sid owned a taxi, registration number ANV 681 and both were ARP wardens during the war. Story goes that, one day, Sid's taxi fell into a ditch and that local character George 'Sketch' Patrick (who purportedly weighed some 22 stone) put his back into it and lifted it clean out! In the cottage to the left of the current shop was a Co-Op. 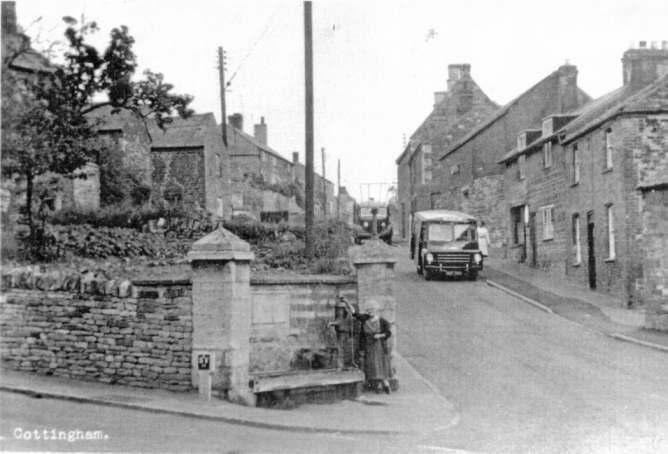 This shop is shown on the 1960s picture top right with a delivery van parked outside. The lady standing by the wellhead in this picture is Mrs Stapleton. 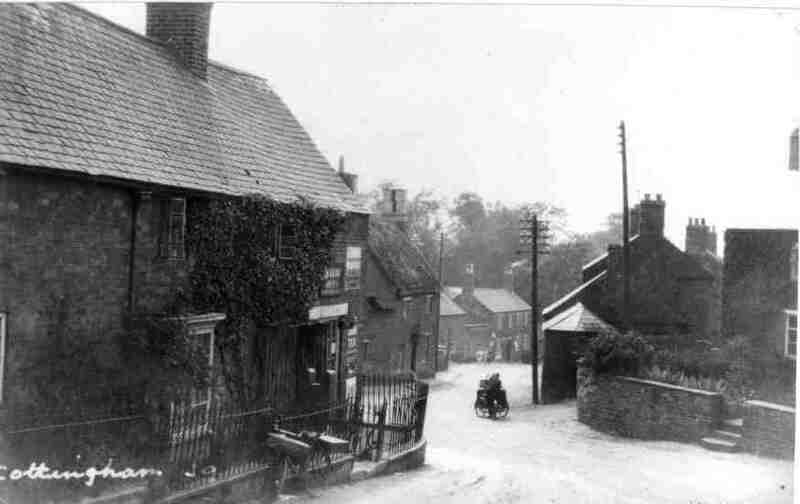 Later on the Yorks purchased the Co-Op and the cottage below, and made it into one dwelling. Laurie and Irene Beadsworth recall playing 'shop windows' on the corner of Corby Road in the 1950s. Says Laurie: "A group of us used to choose the name of an item from one of the shop windows, and then hide, leaving two lads behind by the shops. These lads would then try and guess what we'd chosen by shouting out 'is it beans? is it candles?' and so on. When they picked the right item, we all ran out from our hiding places and tried to get back to the shop without being tagged by one of the two finders." Villagers have told me that 3 Corby Road used to be a drapery and/or clothes shop. 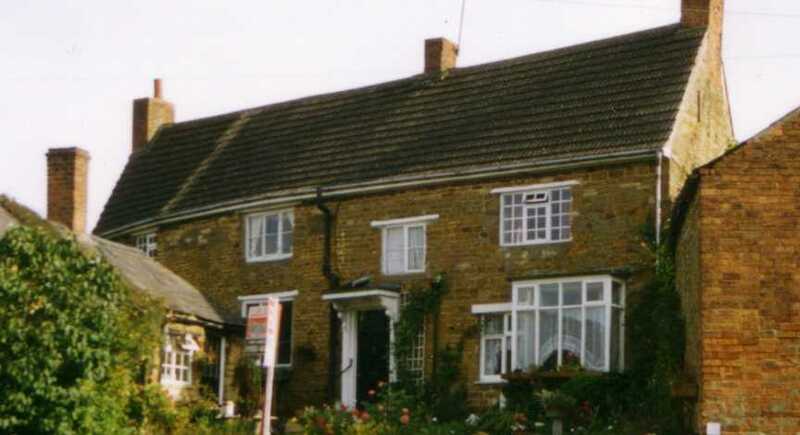 It's certainly true that the house used to have a shop style window at the front, which has since been removed. In 1881, the residents of this property, Elizabeth Rayson and her nephew Henry, are listed as a 'bakers and grocers'. In the 1930s, Martin Phillpotts ran a general store from the property selling anything and everything! Legal documents from 1931 record Martin as 'formerly a licensed victualler and now retired baker'. Martin is pictured in front of the shop in the 1930s picture opposite with his daughter, Nell and granddaughter Mitch.